Once we accepted that utilitarian styles and trends were here to stay, we fully embraced them and put all judgment aside. 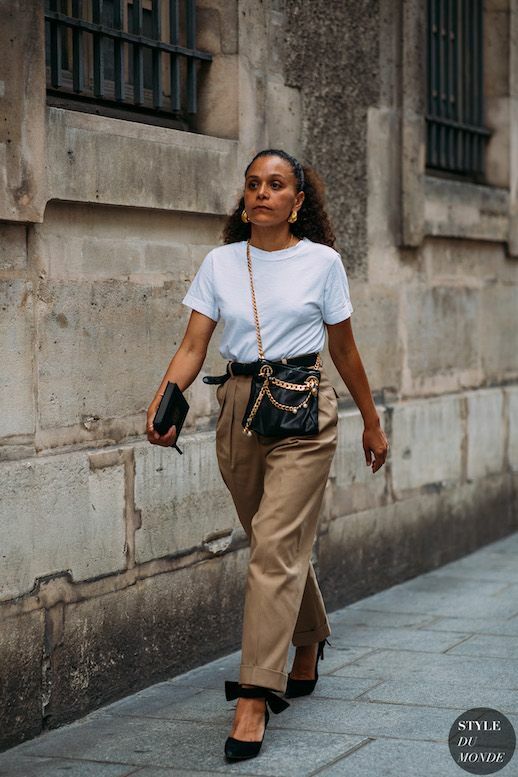 Now, sturdy combat boots, khaki pants (don't picture a park ranger or your substitute teach from middle school please) are spotted at every fashion week. Can these wrinkle resisted pants look cool? According to Samira Nasr, who was spotted at the Haute Couture shows, it absolutely can. Pair them with a comfy white t-shirt, and bow-embellished velvet heels, then pile on the accessories for the ultimate utilitarian-meets-cool-girl look.